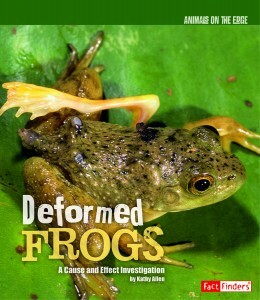 If anything, Deformed Frogs is a unique way to approach and support an organic lifestyle. 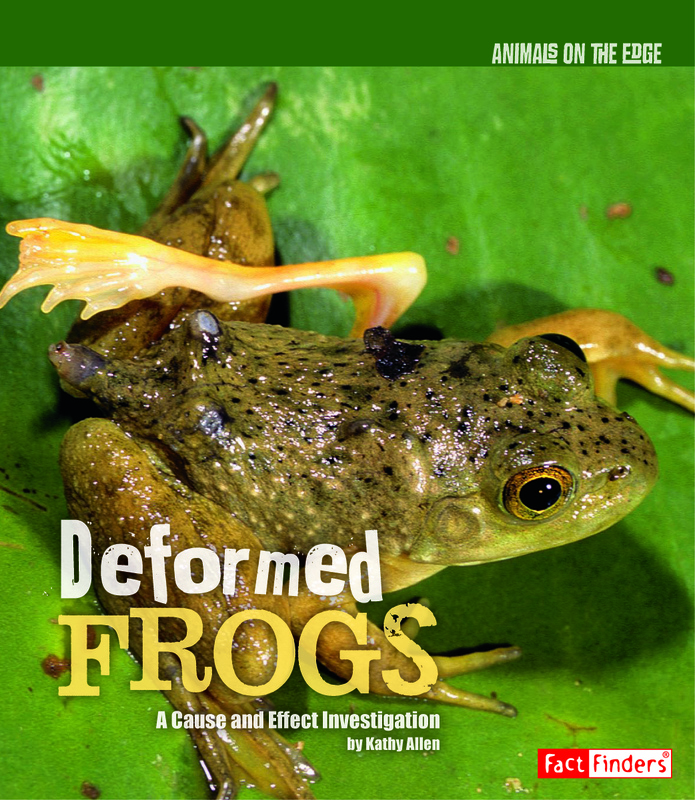 The premise of this non-fiction, educational work is for the reader to sleuth their way through the enigma of why, in some habitats, up to 60% of frogs are disfigured, either with abnormal, additional or missing limbs. What we discover is that there are three very plausible explanations: pesticide use on farmsteads, flatworm parasites that cause cysts in tadpoles, and a weak ozone layer that allows harmful UV-B rays to shine through. Like any animal, frogs play a large role in their ecosystem, eating pesky insects and serving as a food source for others. Their demise could greatly affect the health of their environment and also foreshadow our own future, suggests author Kathy Allen, as both species share similar characteristics. Students will appreciate how scientists approach such baffling issues and attempt to advocate for and protect frogs. Check out the Save The Frogs campaign for neat ways your kid can help these rather cute amphibians, including the establishment of a frog pond at their school. Find other titles of interest (polar bears, whales) from Capstone. The idea of a children’s book called “Deformed Frogs” is very odd. Wow – this sounds like a very interesting title for the right kid. That’s some image on the cover!